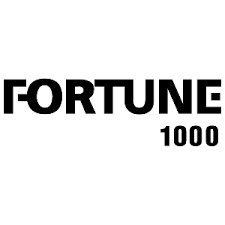 Los Angeles, CA Dec. 4th, 2014– The Prince Synergy (www.ThePrinceSynergy.com) announces its latest studies on CEO Replacement at Fortune 1000 in 2014. Among 253 Fortune 1000 CEO replacements, man: woman= 252:1. The departure rate for men is 252/947=26.61% and women 1/53=1.87%. The most common placement is departure. Women held 46 CEO positions at Fortune 1000 in 2013 and 53 in 2014. The top priorities for CEO are to keep their vision and power up-to-date, so they can react to shocks and capture opportunities efficiently. And the first step is to stay open. However, only 17.92% of the replaced group opens The Prince Synergy newsletters while 63.89% of women CEOs do. Some Fortune 1000 CEOs rely on their executive assistants who delete every mail. Compared to men, women Fortune 1000 CEOs tend to carry more loads and meet higher standards at work and in life. About 30-40% of intractable business issues are due to traditional IQ, EQ or behavior approaches because each person has 6Q. CEOs can leverage their human capital more efficiently with the right tools, for example, how to maximize leadership efficiency, manage conflicts, use the right people, and build smart systems. The latest tools utilize the 6Q multi-tasking talent model and the 6Q Approach. As competitions intensify, vision, speed and results determine the rise and fall of the Fortune 1000 CEOs and businesses. The Prince Synergy (www.theprincesynergy.com) is a leading consulting firm that takes leadership from good to great and solve the hardest issues that no one else can. We help leaders build long-term social and economic value in the world with increasing uncertainty and complexity. For more info, or to schedule an interview, lecture, or appointment, please contact press@theprincesynergy.com, or 310-668-1828. Do you have the right tools to meet challenges and stay ahead of changes? Take a short Leadership Tool Quiz.